a.k.a. 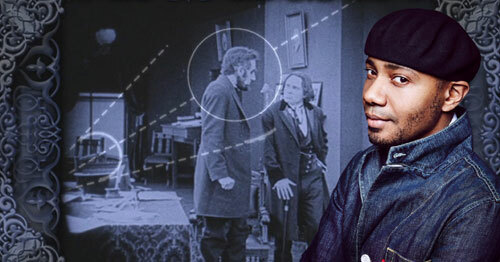 DJ Spooky. She left with her hair on fire because the DJ thoroughly remixed so much of what she knew into a thunderstorm of new ideas. 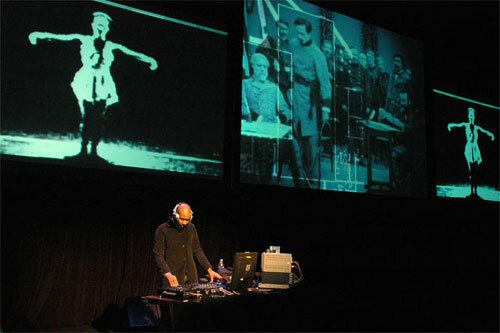 After listening to where Miller was from, how the concept of remixing sounds and images came to be for him, and what kind of projects DJ Spooky pursues, Steiny realized that this man must be a conceptual artist. So she asked him if he was a conceptual artist like Bruce Nauman or Trevor Paglen and he said yes. What’s more he added that he is friends with Paglen. What he and Paglen share in one of their separate art projects is the use of Kronos Quartet. Spooky uses the music of Kronos in Rebirth of a Nation. Just in case, Dear Reader, you missed Steiny’s last column on conceptual art based on the work of Nauman and Paglen, have a look at What Is Conceptual Art. As a native Washingtonian born in 1970 whose mother was owner of an eclectic and popular but now defunct shop called Toast and Strawberries (Steiny notes she was there in that innovative clothing boutique for poetry readings) and whose father had been a dean of Howard Law School, Miller who graduated from DC’s Woodrow Wilson High School and holds an undergraduate degree from Bowdoin College in philosophy and French literature, grew up as an urbanite in the middle class. This says to Steiny, who grew up in the Washington, DC area that diving in deep to the resources of the Library of Congress, which he did for his remix film based on The Birth of a Nation would not have been obstacle for him. Bowdoin, a small liberal arts college with its long rich history (founded in 1794), claims such alumni as literary philosophers Nathaniel Hawthorne and Henry Wadsworth Longfellow as well as North Pole explorer Robert E. Peary. While Bowdoin had many ties to slave labor and the Confederacy, Harriet Beecher Stowe began writing her anti-slavery novel Uncle Tom’s Cabin in the town of Brunswick where Bowdoin is located since her husband was teaching at the college. As an African-American, Miller has a surprising tolerance for politicians like Northam who have crossed the line of racial insensitivities and justice. Steiny believes his tolerance comes from his broad education and he states in the trailer of Rebirth of a Nation, that a deep ignorance of history pervades The Birth of a Nation. Steiny also asked Miller if he had considered becoming a statesman and if he had how would he handle Northam’s terrible gaffe. Not afraid to show the Georgetown University students his complete distain for Trump, Miller answered that he would not be inclined to run Northam out of office. He said what needs to be done is to sit down with Northam and have a deep and probing discussion with the Virginia governor about racism. Steiny found Miller’s process of delivering this lecture in keeping with how a disc jockey threads together a soundscape of seemingly disjoint songs by different singers and composers. He used a projection of his hard disc to jump around and hone in on one image after another. Part of Miller’s message is how the Internet changed access to information across a wide spectrum disrupting how music and film is distributed and sold. But he is also talking about how literacy is changing, even with money as suggested by blockchain technology which may provide better means of paying an artist for his/her creative work. 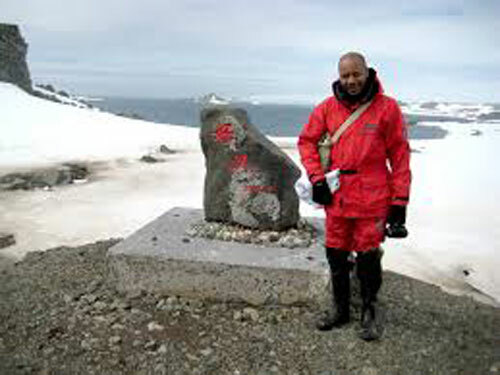 Surprising among DJ Spooky’s projects was a trip to the Antarctic so that he could record the music of climate change. However, given that he got his undergraduate education at a college known for trailblazers like North Pole explorer Robert E. Peary, Miller’s capacity for large reaches should not be discounted. His latest product is QUANTOPIA: The Evolution of the Internet, an interdisciplinary artwork involving art, science and technology. This is his work on computational approaches to music. The question he is answering is what does the Internet sound like? Check his website for his touring schedule if you want to be fully woke.